The industrialization and rapid growth of Taiwan during the last years of the 20th century has been called the “Taiwan Miracle,” included in the “Four Asian Tigers” with Hong Kong, South Korea and Singapore. But the country also has an impressive offer in the field of tourism. Taiwan exhibits for the first time at OTDYKH Leisure with an exclusive designed stand, hosting a group or co-exhibitors under the umbrella of Taiwan Tourism Bureau, will show an up-to-date vision of the “Asian Tiger,” because the tourist field also has to show wonderful things to the visitor. Taiwan, as an island country, will continue its vigorous efforts to promote tourism and offshore-island exploration this year by initiating the “2018 Year of Bay Tourism” program. Under this initiative, Turtle Island, Green Island, Orchid Island, Little Liuqiu, Qimei, Yuweng (Xiyu), Jibei, Little Kinmen (Lieyu), Beigan, and Dongju will be highlighted in the “Explore 10 Islands of Taiwan” brand, with experiential activities for all four seasons featuring whale and dolphin watching, seafood dining, lighthouse visits, and small fishing village tours. Further, the 2018 annual meeting of the Club of the Most Beautiful Bays in the World will be held in Penghu, drawing the attention of bay lovers from all over the world. In Taiwan, the cloud-piercing Taipei 101 tower and the frenetic 24-hour pace of life marks the cosmopolitan nature of the cities, and the contrast between city and countryside, together with the blending of the old and the new, gives a feeling of being in a time tunnel that passes from the past through the present and into the future. Along romantic Provincial Highway 3 you will find Hakka villages rich in rustic folkways, with cuisine and culture passed down through the generations. The ancient capital, Tainan, is where history and urban life come together, with temples and historic sites that trace the area’s past. Sunset at Xizi Bay in Kaohsiung and the coastal scenery of Kending, coupled with local night markets and unique main-street characteristics, are powerful attractions for tourists from all over the world. The towering heights of majestic Mt. Jade and the connected peaks stretching north and south enrich the island’s geologic landscapes. 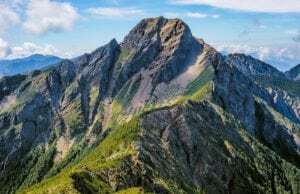 In Chinese “Yusha,” literally means Jade Mountain, is the highest peak in the island with 3,952 meters above sea level, giving Taiwan the fourth highest maximum elevation of any island in the world. In eastern Taiwan the main modes of travel for tourists are railway and bicycle. Each season and each landscape has its own enchanting scenery. The beauties of eastern Taiwan, the vast Pacific, the quiet rural landscapes of Yilan, the awesome Taroko Gorge in Hualien, and the hot-air balloon carnival on the Luye highlands of Taitung, all attract the eyes of the world. Taiwan is blessed with a diverse range of exquisite beauties, each corner of the island having its own unique scenery with local stories and touching moods. Visit Taiwan gives an experience of its island life, a secret realm for travelers, repository of culture, and enjoy an encounter with the warm friendliness of the island’s people. 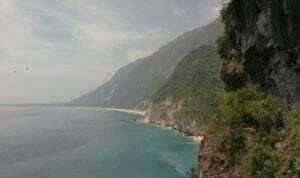 The island-state in Southeast Asia is a buzzing tourist resort and has all the potentials for an exhilarating holiday. What make this culturally and heritage-wise Chinese island great is the industriousness of its people. The country has exemplary development and is rewriting its current history. The Republic of China, as Taiwan is officially termed, is Chinese in essence, culturally and historically, and its booming industrial sector considerately eyes the mainland for commerce. Since the 1990s, Taiwan-based technology firms have expanded around the world. Well-known international technology companies are headquartered in Taiwan producing personal computers, mobile phones, and other electronics manufacturing. Today Taiwan has a dynamic, capitalist, export-driven economy. Real growth in GDP has averaged about 8% during the past three decades. Exports have provided the primary impetus for industrialization. The trade surplus is substantial, and foreign reserves are the world’s fifth largest. Development of Taiwan is breathtaking. Metro and train network. High-speed MRT trains (bullet trains) at a maximum speed of up to 300 km/hour connects its length and breadth It is an island of elevated expressways, a cobweb of roads. Taiwan has the most complete and safest transport network by sea, land and air travel needs. No matter the kind of transport you plan to use in Taiwan, it is always seamlessly connected to the entire transport system. If car trips or package tours are not your favorites, why not utilize our popular Taiwan Tourist Shuttle for a self-planned tour. An environment-aware vacation like this can even help to reduce carbon dioxide emissions. Also consider Taiwan Tour Bus that links up all the major tourist locations in Taiwan, providing a vast range of side services, including friendly guided tours in Mandarin, English and Japanese, as well as hotel, airport and station pick-ups. Enjoy sightseeing in Taiwan and discover the country’s endless charm. Apart of the booming tech industry, the acknowledgement of its ancient Aborigine culture is a basic ingredient of Taiwanese lifestyle and marks a new social contract as it evolves into a modern state. If you want to observe the multifaceted manifestations of 5,000 years of culture, or feel for yourself the joy and harmony of life in a heterogeneous society, then a tour of Taiwan is just what you need.Perhaps the best thing about experiencing the endless variety of Taiwan’s cultural and artistic wonders is that whatever you like, whether it be folk festivals, religious practices, traditional skills, or modern art, everything is right at hand. You can find expressions of the country’s rich and varied arts on every street and lane, and in the lives of the people. And every part of Taiwan – north, center, south, and east, and even the offshore islands – presents its own unique local characteristics, profoundly different yet centered on a common cultural core. This is the source of Taiwan’s magnetic allure. The government has established 9 national parks and 13 national scenic areas to preserve the best natural ecological environment and cultural sites. There are various ways to discover their beauty: Trekking in the magnificence of the cliffs at Taroko Gorge; taking a ride on the Alishan Forest Railway and experiencing the breathtaking sunrise and sea of clouds; hiking up to the summit of Northeast Asia’s highest peak, Yu Mountain (Yushan). You can also soak up the sun in Kending (Kenting), Asia’s version of Hawaii; stand at the edge of Sun Moon Lake; wander through the East Rift Valley; or visit the offshore islands of Kinmen and Penghu. The island has been abundantly endowed with mountains; over 200 of its peaks are more than 3,000 meters high, making Taiwan geographically unique. As mountains can be found anywhere, mountain climbing is a popular leisure activity in Taiwan. One can choose to hike the mountains on the outskirts of the city or accept the challenge of climbing one of the numerous high mountains, following the course of streams and valleys,or crossing entire mountains. Taiwan has some of the great cuisines and hotels, and the choice is wide enough. From purely Chinese cuisine to an articulate mix of regional palate: American, Italian, French, Japanese/Korean, its restaurants and hotels are never short of delicious and lip-smacking servings. With a blend of indigenous and modernity, Taiwan is one of the most pro-Muslim cuisine countries in the region. It is quite conscious in its effort to promote Halal-based tourism, and several of its hotels and restaurants, as well as roadside eateries, are halal-certified by the Chinese Muslim Association. Tourists from the UAE and other Muslim states can be at ease as they order their tumultuous menu. Taiwan has some of the delicious and, at times, halal servings at many of its eateries. The local dishes widely comprise of seafood, and are soaked in a variety of vinegars, chilli pastes, a rich blend of ginger and semi-fried onion. So are the rich plates of shrimps, and a blend of indigenous and Japanese sea-produce. Marinated and at times steam-baked chicken with sauces and lamb chops served with pudding rice in bamboo-wood tube shells is awesome to try. From five stars hotels such as Grand Hayat in Taipei to Nice Palace in Chiayi and Silk Hotel in Tainan, the country has great choices for tourists. It’s completely Westernized in terms of hospitality, but with a perfect and indispensable touch of Taiwanese culture. Decorated lanterns are a must ingredient whether you pass by the hotel lobby or any mall or a decorated night street. Taipei is a great getaway destination especially for Emiratis, and residents living in the UAE. What makes it so special is its scenic beauty, surrounded by mountains and with deep imprints of Buddhism, Confucianism and Taoism, and the tallest tower in the region, Taipei 101 It is nostalgic, as you ride the world’s best high-speed elevator that takes you to the top floor in just 37 seconds. It is a moment of silence and pause as you stand on the 91st floor outdoor observatory and witness the 360-degree panoramic view of the sprawling capital city. Mandarin characters in neon-sign, skyscrapers, buzzing malls, museums, temples, an ordained traffic encompassing a battalion of scooter-riders and tempting food streets and spa centres are salient features of the Republic of China’s capital city. It looks like another Hong Kong, and a great mix of Jakarta and Shanghai, owing to its amazing swiftness with which the city works. Strolling out in the nights as Taipei opens its colorful “budget bazaars” is an unforgettable experience, coupled with the opportunity of try local recipes. Taiwan’s subtropical weather with temperature ranging from 16 to 28 degrees Celsius and intermittent rainfall makes it more attractive for tourists from warmer regions. One cannot ignore the Sulphur-rich hot springs on the island, as well as the cherry blossom season of spring. Another memorable place to visit is the mountainous Alishan district. Two-thousand meters above sea-level, it is home to Aborigines, and spending a couple of days in the tea-gardens is a scintillating experience. Watching the sunrise – from a sea of clouds – is its major attraction, and the ambiance makes it all the more romantic. Currently there are four international airports in Taiwan: Taiwan Taoyuan International Airport, Kaohsiung International Airport, Taichung International Airport, and Taipei Songshan Airport. There are direct flights that go to the world’s major countries, making Taiwan’s international aerial transport system a highly convenient one. What’s more, a number of domestic airports organize international chartered flights. In sum, Taiwan is a splendid destination to visit, and at the same time can make you feel at home, as you experience its ambiance in a unique way of its own. The richness of this Hiden Gem of Asia awaits you at OTDYKH Leisure 2018. Tanzania’s Police Force would reduce the number of roadblocks along the routes to the tourism attraction sites.